Jewish Studies at Vanderbilt offers an interdisciplinary academic program that facilitates the critical study of Jewish history, religion, language, philosophy, politics, culture, society, music, art, and literature across continents and over three millennia. Integral to understanding crucial moments in the formation of Christianity and Islam as well as distinct episodes in the cultures of the modern Middle East, Europe, and America, the program accesses the resources of the entire university to explore Judaism, its evolution and expression from biblical times to the present. This interdisciplinary program reflects Vanderbilt’s commitment to advancing the understanding of diverse cultures and traditions. 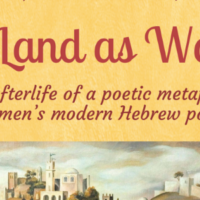 Students of all backgrounds will find in Jewish Studies at Vanderbilt a wide array of material and methodologies, presented by scholars from history, anthropology, sociology, religious studies, philosophy, literature, and history of art. Students may focus on several areas of concentration and tailor the major to their academic and career interests. They also have access to courses offered by the schools of divinity, education, and music; they have access to the Zimmerman Judaica collection as well as the opportunity to study abroad, pursue internships locally or nationally, and do research in archives overseas. The interdisciplinary nature of Jewish Studies offers excellent preparation for graduate studies and provides an outstanding academic foundation for a variety of rewarding career paths. Learn more about our Major, Minor, Master of Arts, and Graduate Certificate courses of study.